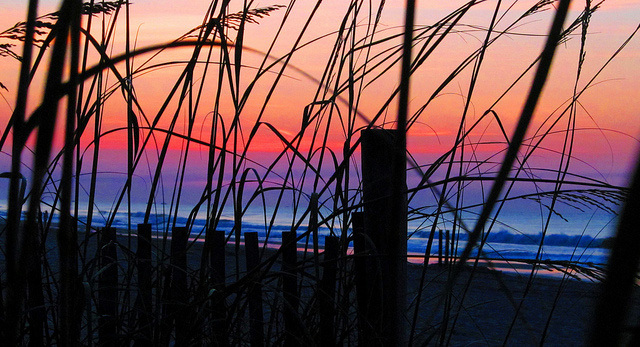 Sunrise at Myrtle Beach, South Carolina; photo by David Cooper on Flickr (use permitted with attribution). South Carolina has two state mottos that can be seen on the state seal. The seal displays two ovals linked by branches of the palmetto tree. South Carolina's two Latin mottos surround the two ovals. On the left is "Animis Opibusque Parati" (Prepared in Mind and Resources). On the right is the more well-known motto "Dum Spiro Spero" (While I Breathe I Hope). 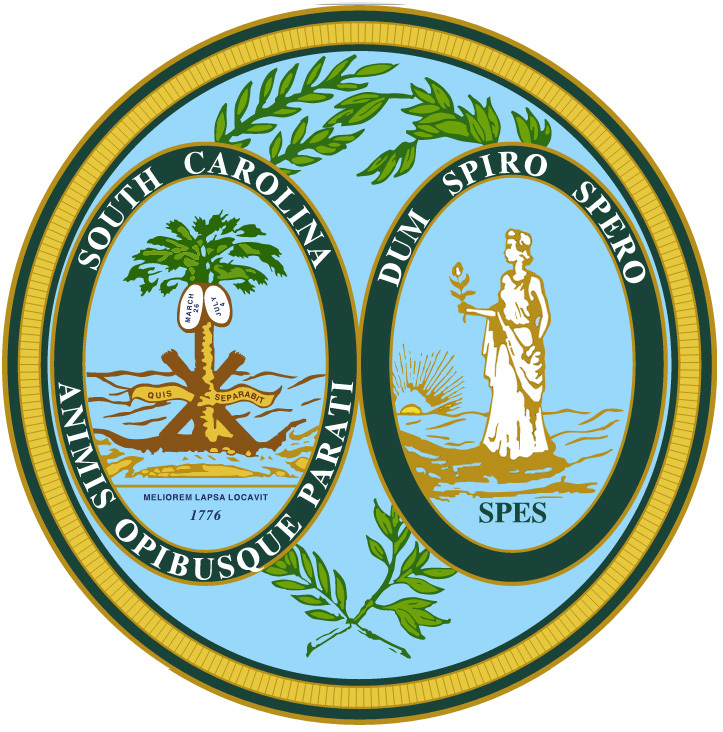 South Carolina state seal; public domain image on Wikipedia.